To General Cecil Lyon, deceased, is primarily due the credit for organizing the 131st Field Artillery, as in January, 1916, he began a recruiting campaign for the organization of a battery of field artillery at San Antonio, to be designated Battery B, First Texas Field Artillery. Captain Ralph Fairchild, named as recruiting officer, was assisted by Lieutenants Burney, McIlheny, Rannay and Beauregard. These officers resigned when Captain Fairchild left the half-formed organization to join the Texas troops on the Mexican Border, and Douglas McKenzie and Raymond Phelps of San Antonio were commissioned Second Lieutenants and continued recruiting work. After intensive recruiting brought the strength to more than 90 men, the unit, on June 1, 1916, was accepted by Claude V. Birkhead, who was then commissioned Captain in the Texas National Guard. McKenzie and Phelps were promoted to First Lieutenants. Besides the above officers, the unit had Second Lieutenants M. H. Erskine and Ralph Heard when it was mustered into state service, June 30, 1916, with 134 men. Battery B was Federally recognized in November, 1916. In June, 1917, Captain Birkhead was ordered to Houston to aid in the organization of a division of state troops. Battery B was selected as the nucleus for the Second Texas Field Artillery. Captain Birkhead was authorized to organize Headquarters Company, Companies A, B and C at San Antonio; Company D, Floresville; Company E and Supply Company, Waco, and Company F, Houston. 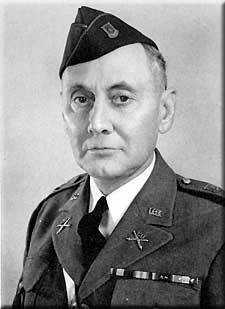 When the units gained sufficient strength for War Department acceptance, Captain Birkhead was promoted to Lieutenant Colonel. Upon the regiment's Federal recognition, he was promoted to Colonel, assuming command of the Second Texas Field Artillery August 4, 1917. On October 15, 1917, the regiment was designated 131st Field Artillery, 61st Brigade, 36th Division. Brigadier General George Blakely commanded the brigade. After training at Camp Bowie and receiving equipment at Camp Mills, New York, the regiment sailed for Brest on the U.S.S. Siboney on July 29. It landed at Brest on August 12, 1918, and was quartered temporarily at Pontanazen Barracks before being sent to Coetquidan, Training Area Number 1, where it learned the technical rudiments of French artillery firing. Although inspected by General John F. Stephens, 61st Brigade Commander, November 3, and officially admitted to be in perfect condition for service, the regiment never reached the front as the Armistice was signed, and all intensive training was suspended. In February, 1919, orders to entrain were received. Embarking on the U.S.S. Aeolus, February 25, the regiment landed at Newport News March 13. The units arrived at Camp Travis, San Antonio, March 23-24, being mustered out during the last of March and the first of April. By April 2, 1919, the 131st Field Artillery as an organization was no more. The regiment was reorganized with other units of the 36th Division in 1922 with former Lieutenant Colonel John B. Golding in command as Colonel. The organization was not completed in time for the regiment to attend camp in 1922 as a unit, but those organizations already Federally recognized formed part of a Provisional Regiment and were in field training in the summer of 1922 at Fort Sill, Oklahoma. In 1923-24-25, the regiment took part in field training with the remainder of the 61st Field Artillery Brigade at Camp Stanley, Leon Springs Military Reservation. Since 1926, the annual field training camp has been at Camp Hulen, near Palacios, Texas, except in 1938 when the regiment took part in the Third Army maneuvers at Camp Bullis, Texas. Colonel Golding died in 1925 and was succeeded by Colonel Charles A. Davis, who retained command until he reached the age of 64 in 1935, since which time the regiment has been commanded by Colonel Harold J. Weiler. Upon the reorganization of the regiment, the headquarters was located at Amarillo where it remained until 1925 when it was moved to Corsicana. In 1931, Colonel Davis moved to Lubbock and headquarters was transferred to that station. After Colonel Davis retired the headquarters of the regiment was transferred to Corpus Christi, Texas, where it remained until 1939, when it was moved to Austin, Texas.